We live on a plastic planet. Plastic is not biodegradable and can therefore never go away. It winds up in the oceans and marine life is dying because of plastic pollution. 10% of the world’s oil is used to make and transport disposable plastic (according to Edward Humes’ Garbology). A product that has such a short lifespan as a disposable plastic should not be made out of a material that can last forever. While plastic is the most polluting one, other sources of waste are damaging to the environment as well. Even though we can recycle paper, we have to cut down a forest in order to create it in the first place. Extracting new materials as well as dealing with waste has a big carbon footprint. Zero waste is, therefore, a reaction to plastic pollution and resource depletion. Zero waste is a strategy to improve resource productivity by avoiding waste that would end up in a landfill. However, zero waste also cuts down on recycling as much as possible. Instead of focusing on recycling it tries to avoid making trash altogether (watch Bea Johnson’s talk on why zero waste is not recycling more but less here). That can involve buying food and products without packaging, avoiding one-way products and buying second hand. When in doubt, follow the order of Refuse (what you do not need), Reduce (what you do need), Reuse (what you have), Recycle and Rot (what is left). 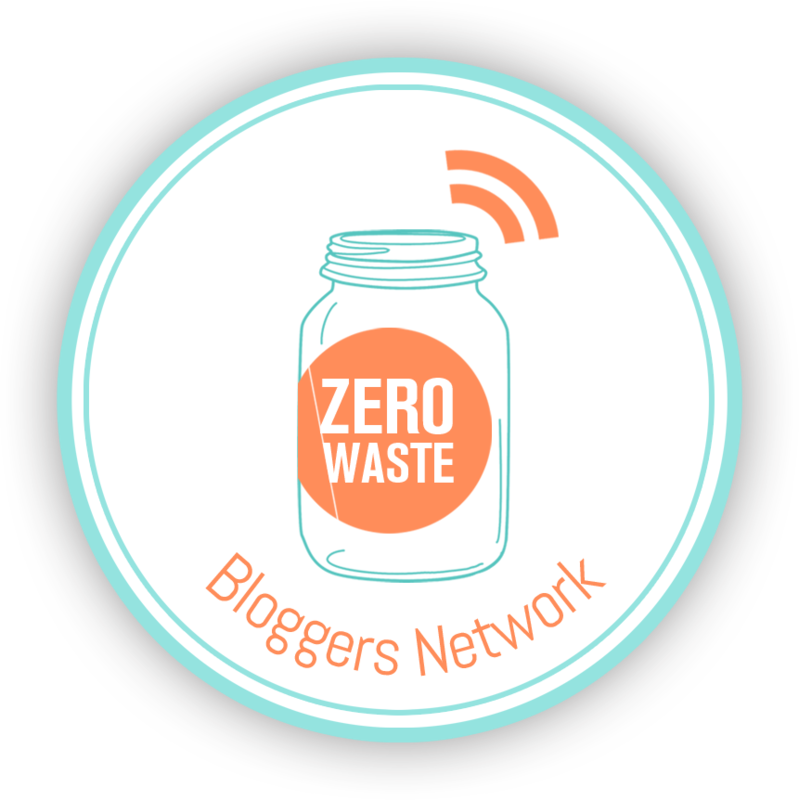 Zero waste often goes hand in hand with following a plant-based diet, minimalism, toxic free cosmetics and cleaners, supporting local sustainable businesses and much more. Recycling is better than landfill or incineration but it still has economic and environmental impacts. Waste is simply inefficient. Although recycling is necessary, it is insufficient to achieve sustainability. The recycling process uses a lot of energy and is often not worth it. In many cases, the materials are down-cycled, because the new material has lost purity in comparison with the old product. Afterwards, the down-cycled products tend to end up in the landfill anyway. Recycling can also be a dirty process. The process of down-cycling plastic is toxic. Products are advertised as “recyclable” even if they do not end up getting recycled, which can lead to a boost in demand because consumers expect that the products will be recycled. Paper, aluminium and glass are the easiest to recycle. We can melt aluminium and glass almost indefinitely without any loss in quality. It is possible to recycle paper up to six times (the fibres are getting shorter and the quality deteriorates). Composting is a great way to drastically lower the amount of your waste. Sometimes more important than recycling itself is buying recycled material and thus creating a market for it. If you purchase products that have recycled content, you’re closing the recycling loop and making sure the cycle continues. Try to look for the low numbers in local search volume. Thanks for sharing excellent informations. Your website is so cool. I’m impressed by the details that you have on this site. It reveals how nicely you understand this subject. Bookmarked this web page, will come back for more articles. You, my pal, ROCK! I found simply the info I already searched everywhere and just couldn’t come across. What an ideal site. What i don’t realize is actually how you’re not actually much more well-liked than you might be now. You’re so intelligent. You realize therefore considerably relating to this subject, made me personally consider it from so many varied angles. Its like women and men aren’t fascinated unless it is one thing to accomplish with Lady gaga! Your own stuffs nice. Always maintain it up! You come up with some thought-provoking arguments within this article, but aren’t you overlooking something crucial? This makes some great considerations-however I think you could be lacking clarity. I want to see you elaborate, because you are an informative writer and I enjoy reading your articles. This opinion is a new look at an old issue. Thank you! I am sharing this! Any way I’ll be subscribing in your feeds or even I success you get entry to constantly fast. What i do not understood is actually how you are no longer actually much more neatly-appreciated than you may be right now. Do you have a spam problem on this website; I also am a blogger, and I was wondering your situation; we have created some nice procedures and we are looking to trade strategies with others, be sure to shoot me an e-mail if interested. I in finding it very troublesome to inform the reality nevertheless I will certainly come back again. Sincerely-thanks-Could you clarify some things? Great website. Plenty of helpful info here. I am sending it to some buddies ans also sharing in delicious. And obviously, thank you to your effort! smart. I can not wait to read much more from you. This is actually a tremendous website. it. Glance complex to more introduced agreeable from you! However, how can we communicate? a visit this webpage on regular basis to obtain updated from hottest gossip. hi!,I really like your writing very so much! share we communicate extra about your post on AOL? of this weblog; this blog contains awesome and truly fine material in support of visitors. What’s up friends, its fantastic article regarding educationand fully defined, keep it up all the time. After I initially left a comment I appear to have clicked on the -Notify me when new comments are added- checkbox and from now on every time a comment is added I recieve 4 emails with the exact same comment. Perhaps there is a means you can remove me from that service? Cheers! let me understand so that I may subscribe. Thanks. Howdy very nice website!! Guy .. Excellent .. Superb .. I will bookmark your blog and take the feeds also? Valuable information. Fortunate me I discovered your site accidentally, and I’m stunned why this accident didn’t came about in advance! What i do not understood is actually how you are no longer really a lot more smartly-preferred than you may be right now. Hello there! I know this is kinda off topic however I’d figured I’d ask. Would you be interested in exchanging links or maybe guest writing a blog post or vice-versa? My website covers a lot of the same subjects as yours and I think we could greatly benefit from each other. If you’re interested feel free to send me an e-mail. I look forward to hearing from you! Wonderful blog by the way! Can I simply just say what a comfort to discover someone that genuinely understands what they are discussing online. You actually realize how to bring a problem to light and make it important. More people ought to check this out and understand this side of the story. I can’t believe you’re not more popular since you certainly possess the gift. particularly wonderful read!! I definitely liked every bit of it and I have you saved to fav to look at new information in your blog. a user in his/her mind that how a user can understand it. So that’s why this article is perfect. this weblog; this web site consists of awesome and in fact fine information designed for readers. actually good and the people are actually sharing pleasant thoughts. you added something that grabbed folk’s attention? I mean What is "zero waste"
and why not just recycle? – untrashified is kinda boring. hello!,I really like your writing so so much! percentage we communicate extra about your post on AOL? I need an expert on this space to unravel my problem. May be that’s you! Having a look forward to see you. I simply wanted to make a message to appreciate you for all the splendid hints you are showing at this site. My prolonged internet research has at the end of the day been paid with high-quality facts to share with my visitors. I would express that many of us visitors actually are extremely lucky to dwell in a useful place with many awesome professionals with good suggestions. I feel very much lucky to have used the website page and look forward to many more excellent times reading here. Thanks a lot once more for a lot of things.